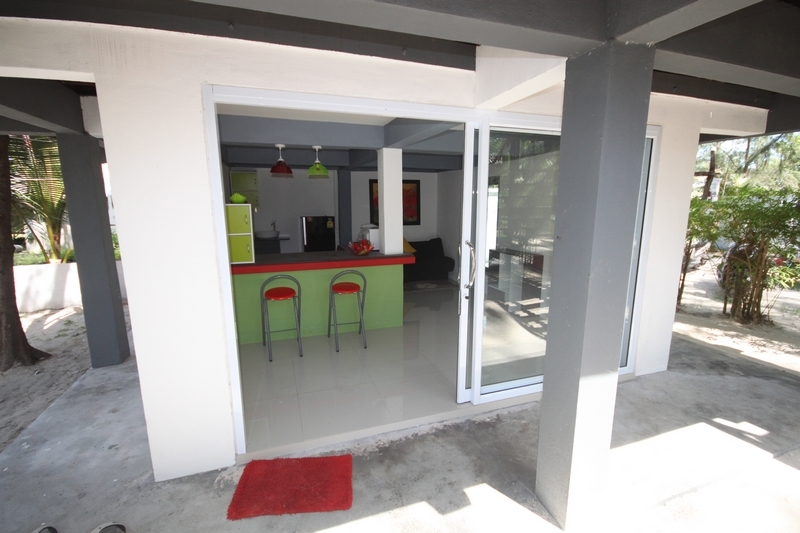 The entrance is two glass sliding doors to the lounge and kitchen. 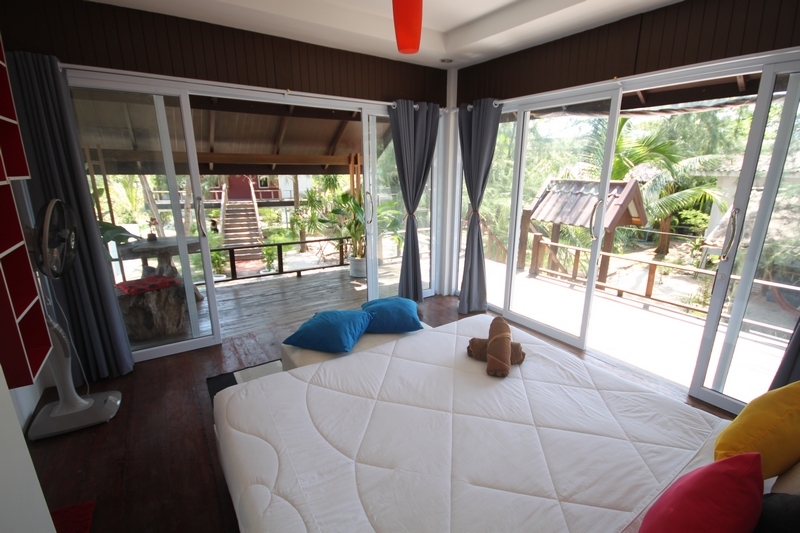 The bedroom on the upper floor is accessed via some steps on the outside of the bungalow. 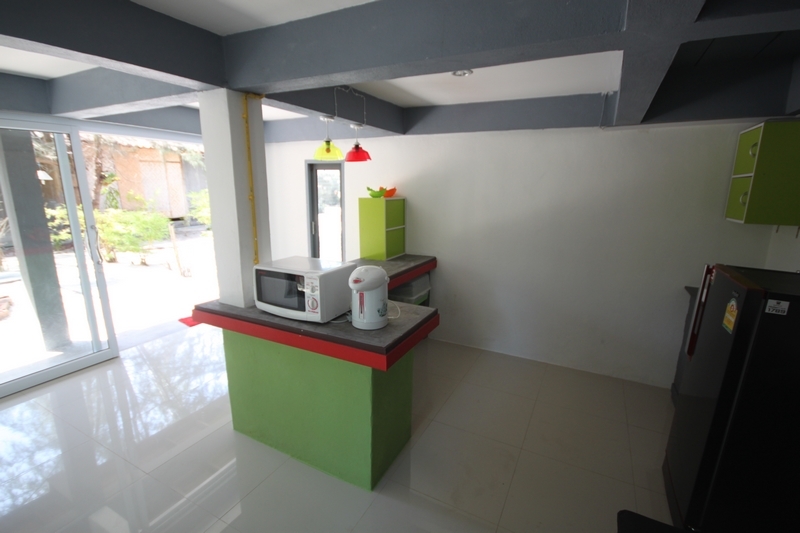 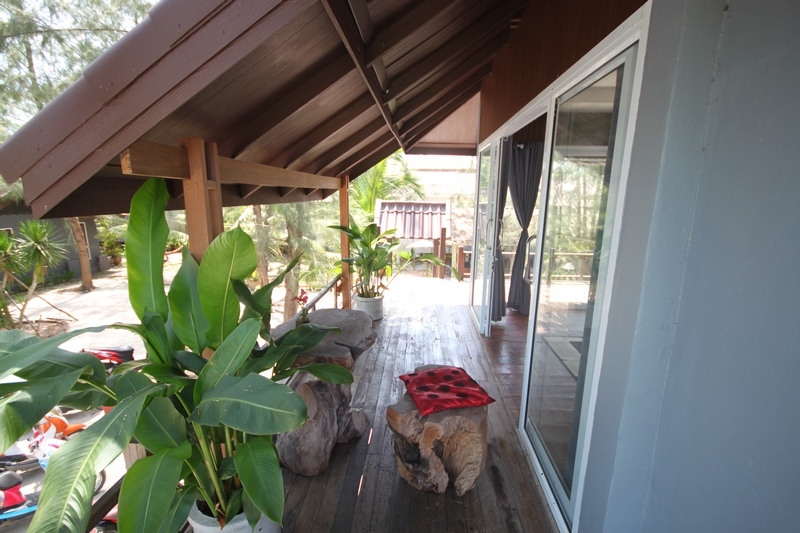 The bungalow terrace has small sitting area for chilling out. 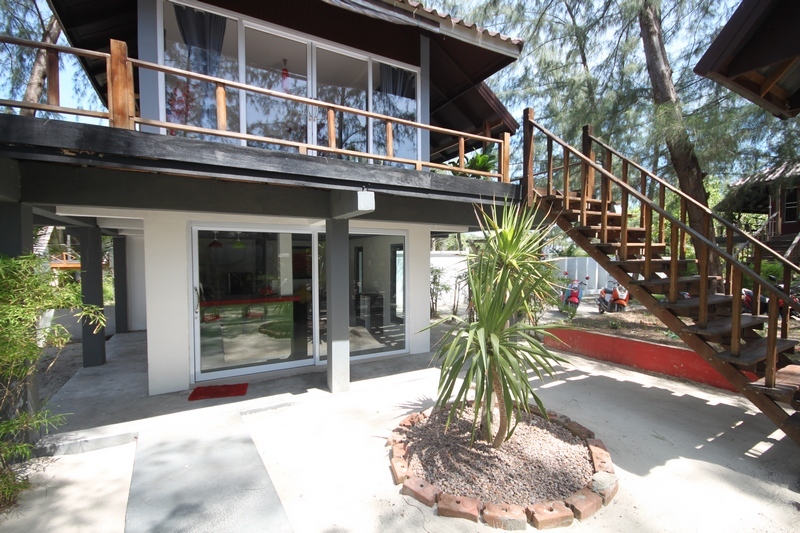 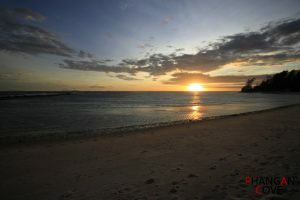 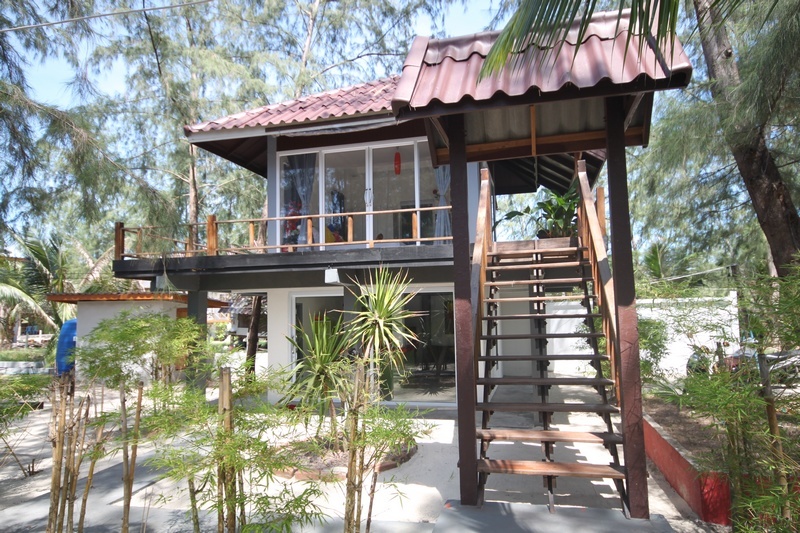 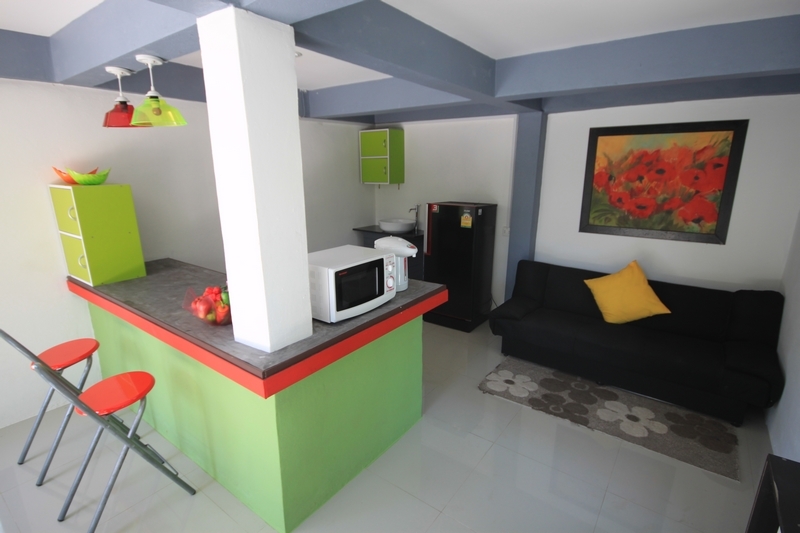 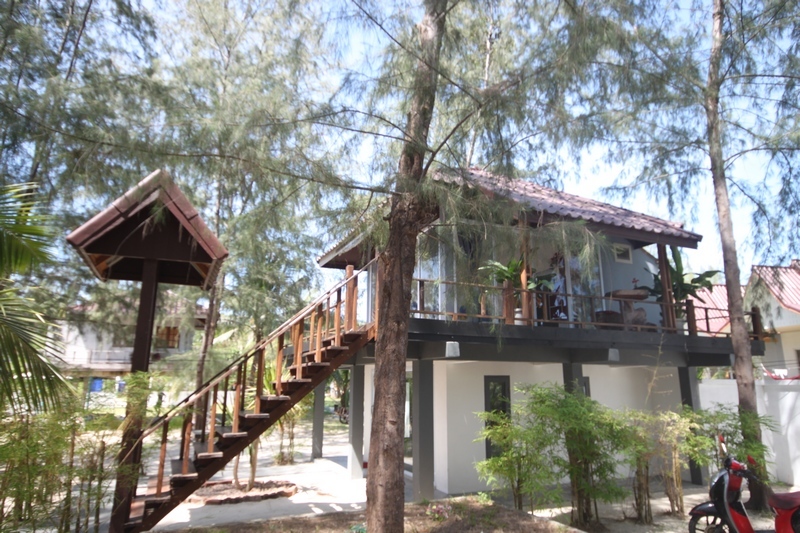 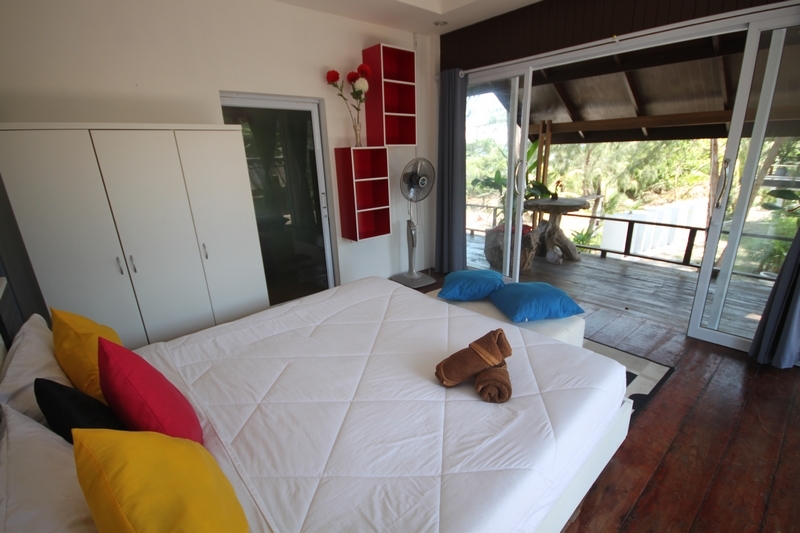 This bungalow is less than a minute walk to the beach and the Phangan Cove restaurant. 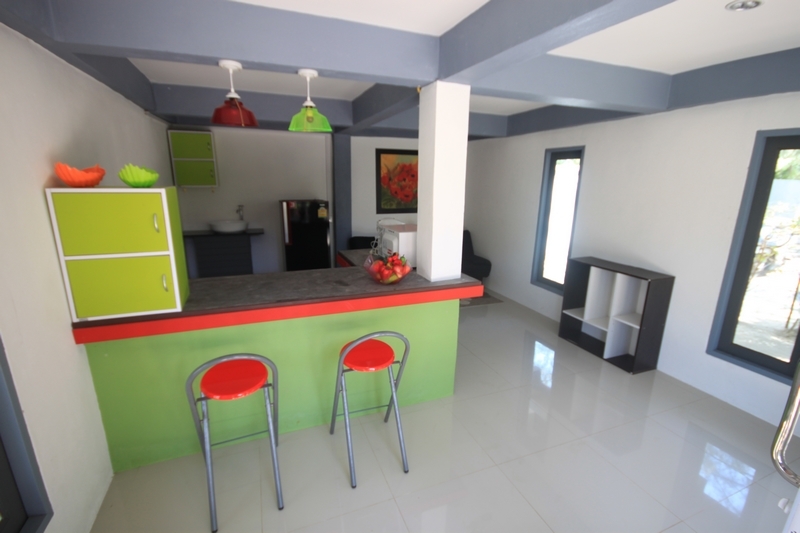 This is perfect for a small family.